In just a few months, we’ll be opening our doors for the 2019 I-91 Shop Hop. And we can’t wait! 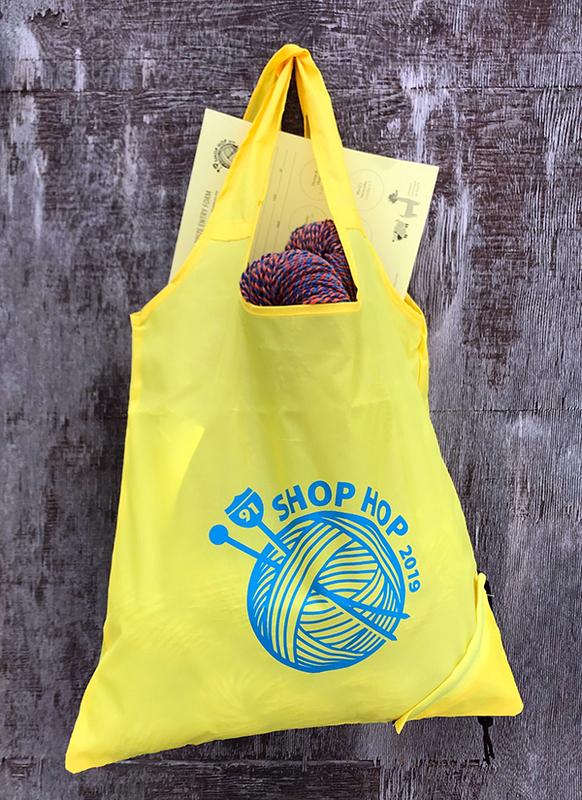 Passports and bags for the 2019 I-91 Shop Hop are now available for purchase! You can get yours ahead of time so that you can dive right into to the yarny goodness when the yarn crawl comes around again this June. The I-91 Shop Hop will take place June 27-30th. All participating shops will be open from 10 am – 6 pm on Thursday, Friday and Saturday and 12 pm – 5 pm on Sunday. For those of you early birds who really want to maximize the ground you’re able to cover, you may want to keep in mind that we open at 9 am on Thursday and Friday giving you an extra hour at the beginning of your day to enjoy a leisurely visit to our Mill before heading south. You’ll have four fiber filled days to visit all 11 participating shops. A visit to each of these shops during the Hop weekend, entitles you to a stamp on your official $5 Shop Hop passport. Every time you get your passport stamped, you will be entered to win the Daily Door Prize at that shop. A total of 48 door prizes will be given out to participants! By visiting all 11 shops you will be entered into a drawing for the fabulous Grand Prize, which includes gift certificates for all 11 shops, as well as yarns, needles and other goodies! Each store will be featuring their own design in a kit, ready for purchase. This year’s theme is Color Pop Shop Hop! Maureen is working on a surprise pattern that we can’t wait to share with you! We hope that you can get this event on your calendar and that we’ll see you then, if not before! Next Next post: Let’s play with Fall color!